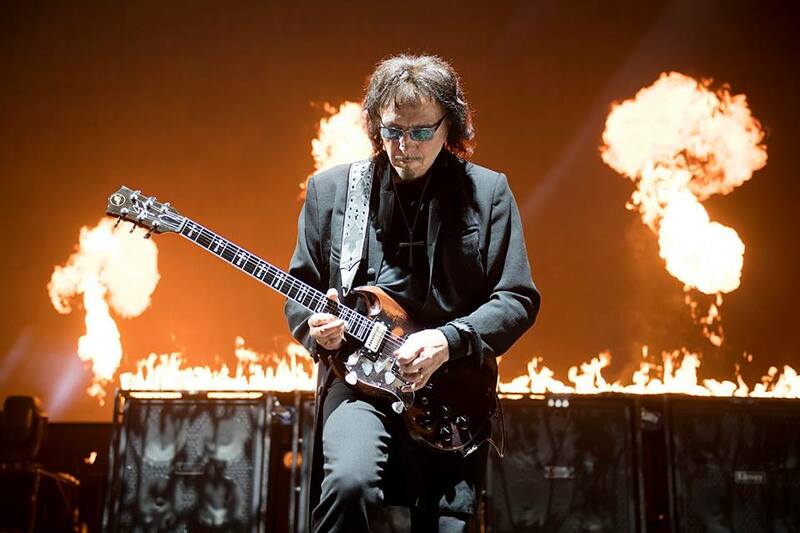 Black Sabbath guitarist Tony Iommi will be the featured guest at a pair of upcoming UK interview events next month. Billed as "Tony Iommi With Phil Alexander: A Life In Music", fans will see Iommi in conversation with respected journalist and broadcaster Phil Alexander at the Paisley Town Hall in Paisley, Scotland on Friday, October 12 and at Assembly Rooms in Edinburgh, Scotland on Saturday, October 13. "I'm really looking forward to spilling the beans with Phil Alexander at our 'A Life In Music' shows,” says Iommi. “I've known and worked with Phil for a long time and he probably knows more about my career than I do! He's got a great sense of humor and, combined with a nose for every last detail, it'll be fun delving into all periods of my career." Iommi and Alexander have crossed paths through the years as part of the journalist’s career in print, radio, TV and online, including stints as editor of Kerrang! and editor-in-chief for Mojo before being appointed global creative director of Kerrang! magazine and Rock Music Media. Alexander remains contributing editor at Mojo and hosts a weekly Saturday night radio show on Britain's Planet Rock radio. "Each evening will be unique,” explains the host. “As well as covering Tony's formative years, each night will focus on a specific period in his remarkable, storied career, providing a different experience for every audience. These are nights not be missed." Iommi and Black Sabbath wrapped up a farewell tour in their hometown of Birmingham, UK in February of 2017; their final performance is featured on the live package “The End”, which was issued last fall. Cancer survivor Iommi was among those on hand to help open a new chemotherapy unit at Solihull Hospital in Solihull, West Midlands, UK in July. The Solihull Haematology and Oncology Day Unit has been designed specifically with cancer patient needs in mind and will offer a peaceful and comfortable environment for those who require the service. Iommi was diagnosed with blood cancer lymphoma in January of 2012; following a lengthy treatment, the rocker revealed in 2016 that his cancer was in remission.